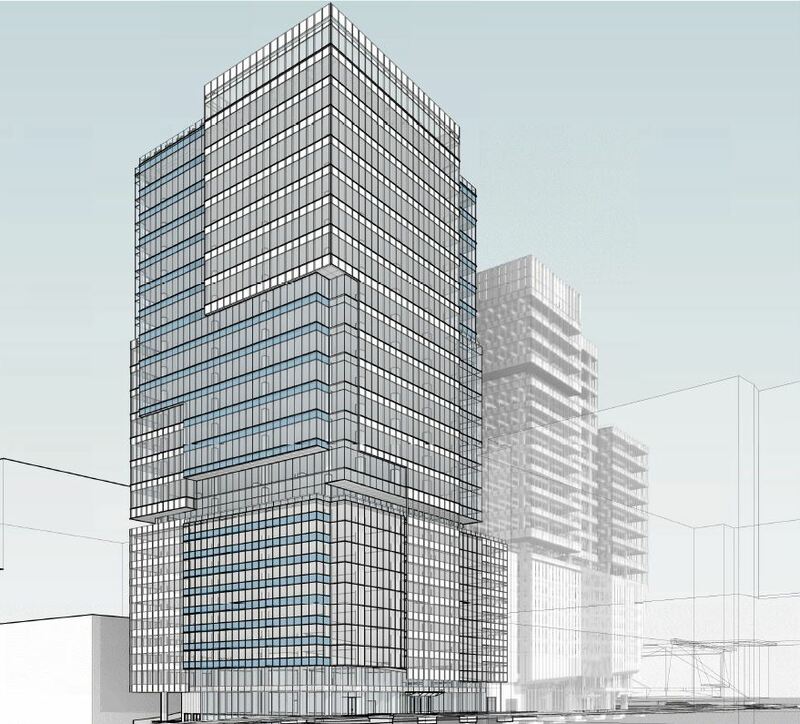 JLL and MetLife proposed a mixed-use development on 3.8 acres at 1295 Spring Street south of 17th Street. The development would consist of 600,000 SF office, 255 key hotel, 350 residential units and nearly 100,000 SF of grocery and retail uses at ground level. The site would be organized around a new street extension of Arts Center Way from West Peachtree to Spring St. consistent with the Midtown Street Connectivity Plan. This new street serves to orient the buildings and provide access through the site. The DRC requested additional attention on the façade along 17th Street along with traffic safety improvements to be coordinated with GDOT via reconfiguration of the new street and driveway proposed along West Peachtree Street. ASD/SKY proposed a renovation and minor expansion of the existing building located at 1375 Peachtree St. This will be a significant update to the dated office building originally constructed in the mid-1980s. 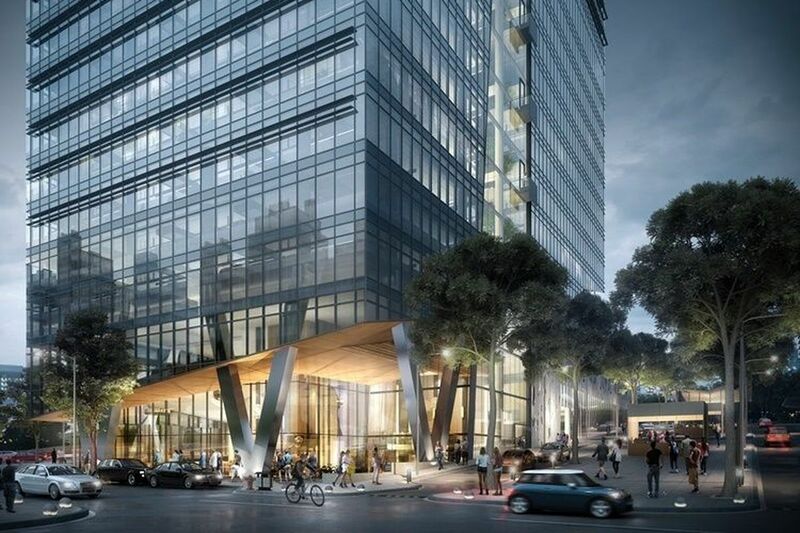 The proposal includes a reimagined lobby, new 3rd floor public ‘green’ lounge, ‘ghosting’ the façade white, and a semi-transparent screen facing Peachtree Street. 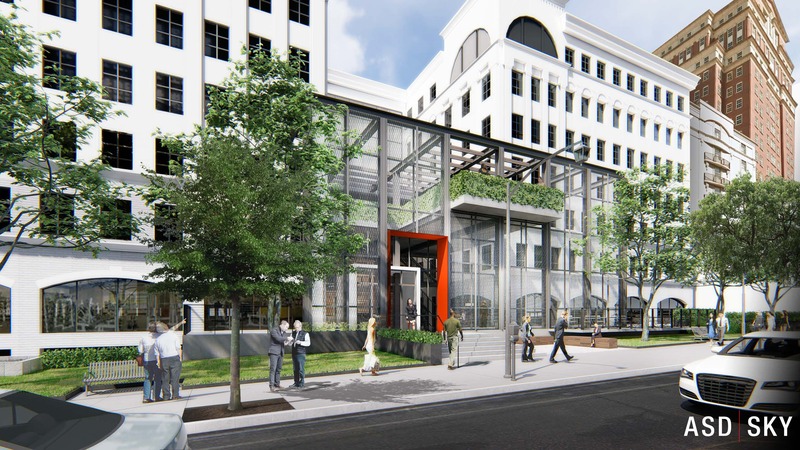 Across the Peachtree Street frontage there will be a small linear park and an expanded courtyard will become an accessible common activity space. 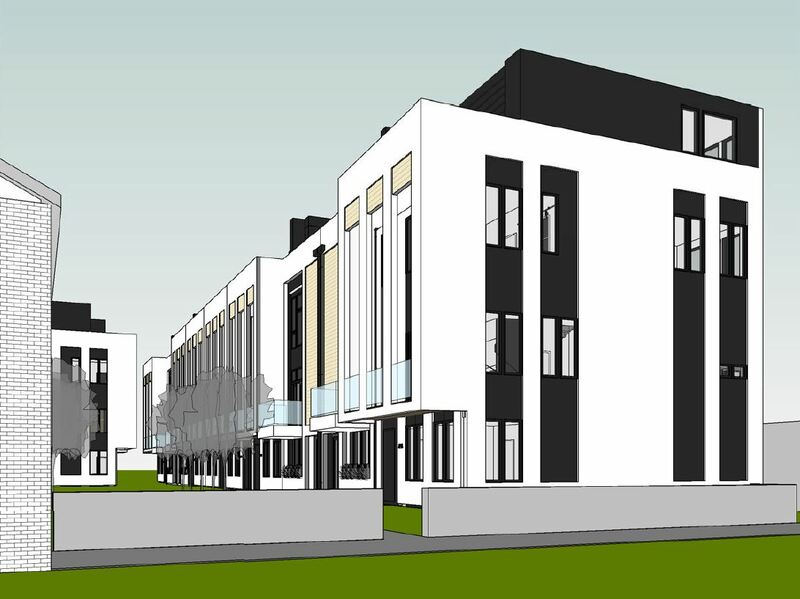 Office of Design proposed a new townhouse development near the end of 14th Place. The project consists of 13 units, 4-stories each, with a 6000 SF courtyard on a ½ acre lot accessible by existing alleys. Although DRC generally supported the proposal, it was requested that the applicant coordinate with the City Fire Dept. to assure reasonable accommodation of emergency vehicles as well as with the Midtown Neighbors Association and Ansley Park due to their adjacency and interest. Dewberry Capital proposed infill retail and restaurant space around the periphery of the Campanile site including the south portion of Peachtree Street, 13th Street, Juniper Street and the east portion of 14th Street. The two-story addition would add approximately 47,000 SF of new retail space along with upper level office uses of nearly 14,000 SF. The DRC supported the proposal but emphasized the need to address the prominent public plaza at the intersection of 14th Street and Peachtree Street as part of a holistic vision for this highly visible location.